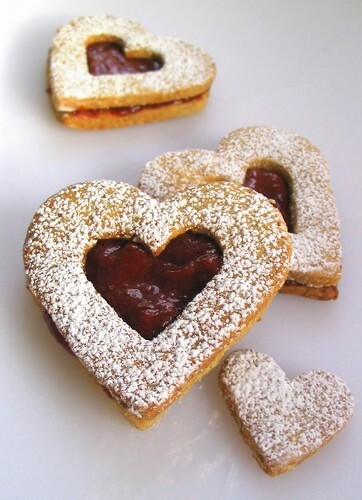 The plan was to continue the Chinese Cooking 100 1/2 series but with Valentine's Day just around the corner (in about 30 minutes as I write this), I couldn't resist posting these heart shaped linzer cookies. The linzer cookie is based on the linzertorte, a tart with a crust made with ground nuts and filled with jam or preserves. The linzer cookie dough is pretty much the same dough used for the tart crust with the difference being that it's cut into fun shapes. The cookies and the cutout center can be cut into any shape you desire and you can fill them with any jam flavor, my favorite being raspberry or strawberry. These heart shapes cookies with a ruby red jewel center are simply perfect for Valentine's day. If you're starting from raw hazelnuts, toast them in a 350 degree oven for 10 minutes or until golden brown. Then transfer them to a kitchen towel and use to towel to rub off as much of the skin as possible. Transfer the skinned hazelnuts to a bowl and shake out the towel outside so the skins don't fly everywhere. If you're starting with raw almonds, follow these instructions to blanch them. Squeeze the nuts out of the skin and toast them in a 350 degree oven until they are dry and lightly golden but not browned, about 5 to 10 minutes. Cool the nuts completely before grinding them. Pulse them in a the food processor until they are finely ground. Whisk the ground nuts, flour, cinnamon, salt and salt together in a mixing bowl, set aside. 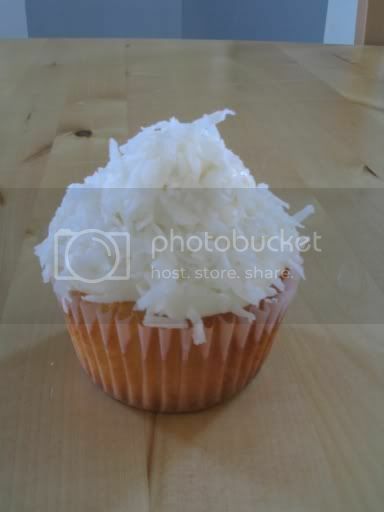 In the bowl of a stand mixer, beat the butter and sugar together until light and fluffy. In a small bowl, beat the egg with the vanilla and almond extract. Add half of this to the butter, beat and scrape down the bowl, beat until combined then add the rest of the egg mixture. Continue to beat until combined. Add the dry ingredients and continue mixing until all the ingredients have been combined. Divide the dough in half, shape each piece into a disc, and wrap in plastic wrap and chill, 2 hours in the fridge or 45 minutes in the freezer (the dough can be stored for in the fridge for 3 days or 2 months in the freezer). Preheat the oven to 375 degrees and line two cookie sheets with parchment paper or a silicone baking mat. Keep one disc of dough in the fridge and roll out the other disc. Lightly flour your work surface and roll out the dough until it is about 1/4 in thick. Cut out as many cookies as the dough can fit. Gather up the scraps with the second disc of dough and continue to roll out the dough and cut out the cookies. Cut out the centers of half the cookies. Transfer the cookies to the baking sheet and bake for 12 - 14 minutes or until the cookies are golden, dry, and firm to the touch. The cookies don't spread so they don't have to be spaced out too far apart. Cool the cookie sheets completely before baking a second batch. Heat up some jam in the microwave or on the stove top until it is warm. Spread about a half a teaspoon to a teaspoon of jam on the cookie and place a cookie with a cutout center on top. Lightly dust with powdered sugar before serving. In my opinion, just the most classic Valentine's Day dessert. You did an amazing job with these. I always have a problem with my jam being too loose and the cookies coming apart, so I usually reduce my jam. Yours look so perfect! 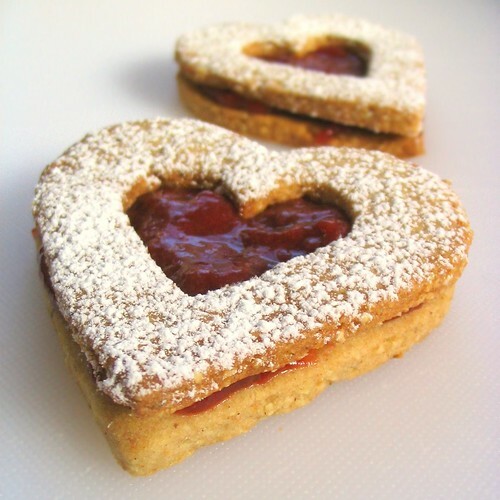 These are just perfect, Amy - I have never tried my hand at linzer cookies, I definitely should! They remind me of beautiful stained glass windows. Reducing the jam sounds like a good idea. I actually used some homemade jam. Came across your blog as I was looking for a recipe for Linzer Torte which was one of my mom's specialties. Your cookies look fabulous.